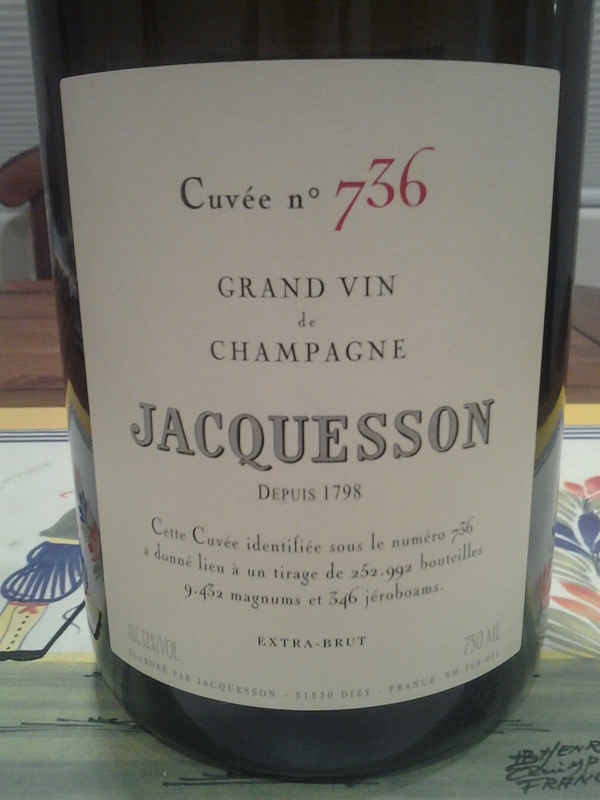 Most of this information is from the back label (thank you, Jean-Hervé and Laurent Chicquet! 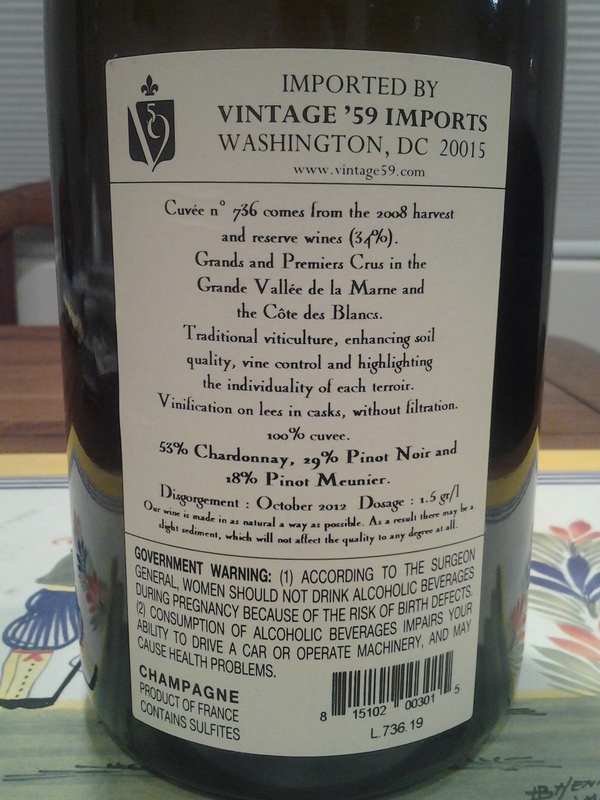 ): 53% Chardonnay; 29% Pinot Noir; 18% Meunier. 2008 base vintage plus 34% reserve wines (2006 and 2007). Vinified in oak barrels. From grand crus and premier crus in the Grande Vallée de la Marne (Aÿ, Dizy and Hautvillers) and the Côte des Blancs (Avize, Oiry). Disgorgement October 2012. Dosage: 1.5 g/l. Water pale with just a hint of straw. Smoldering, architectural nose with a reductive streak: sandalwood, citrus pith, crab-apple blossom and singed toast. The minerality here is so compressed it feels carbonized .. and giving off smoke. Forged and intricate in texture, silver in color, with a raft of brothiness: this is intensely limey today, edged in grannysmith apple. A mineral-seltzer acidity. Turbo-charged, umami finish. It’s as if the Chicquet brothers, with the 736, have harnessed in bottle a liquid capable of making the jump from transonic to supersonic. Uber-sleek now, with more charm to come. Now – 2020+.